Click on the Distric Number for additional information on each Business Agent. 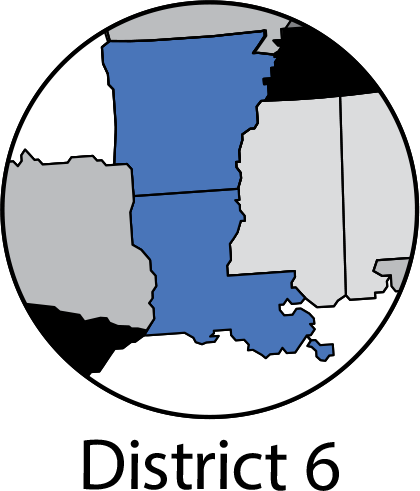 Click Here to download a .pdf of the District Map. Click on the Agent for More Information! Steven joined the union in 1995 and became District 1 Business Agent in 2013. He brings a passion for the brotherhood and works hard to educate people on the importance this organization brings. When he is not working he spends time on numerous projects on his 10 acres. He enjoys walks with his wife and two boys as well as his Golden Retriever puppy. The family goes on many summer camping trips. Steven also enjoys golf, fishing and hunting. Daniel Bambulas is a Journeyman Sprinkler Fitter and has been a Local Union 669 member for thirteen years. He is a proud Union member who enjoys helping to educate unrepresented workers of the importance of working in a Union. Daniel enjoys spending time with family and friends and helping others. He also assists with coaching his twin boys’ soccer team while supporting his daughter with dance and has even done a little dancing himself! Together he and his wife enjoy getting outdoors for some family bonding time whether is up in the pine country, a lake, or vacationing on a beach. It is just Chris and his two children, ages 35 and 21. When he gets a little free time, Chris loves to hunt, fish, and enjoy a cold beer every now and then. Chris is a karaoke fan and enjoys singing his favorite songs on stage when he gets the chance. Richard has been a member of Local 669 since 1989, and has worked as the District 7 Business Agent since 2011. Prior to becoming an Agent, Richard worked as a Special Assignment Organizer in 2006, served as the Southern Region Finance Committeeman from 2007-2008, and became an Organizer in 2008. In his spare time he loves to spend time at the beach with his wife and 3 kids. Richard also loves to watch his sons play football, soccer and baseball and watching his daughter cheer for the Philadelphia Tornadoes. Greg Hawkins has served as the Business Agent for District 8 since 2014. He has been a member of Local 669 since 1998. Greg has been married to his beautiful wife, Angie, for 31 years and together they have 3 children and 6 grandchildren. In his spare time he enjoys spending time with his family and working on his 1969 Mustang. Mark’s hobbies are hunting and fishing. Mark and his wife Carol have five grandchildren that we love spending time with. They love spending time with family whenever they have the opportunity. Jimmy Turner has represented District 10 as a Business Agent since July of 2014. He was indentured into Local 669 on 08-21-89. He has two children (Patrick 18, Alyssa 14) with his wife Suzy. Everyone in the family is an animal lover and they all currently enjoy the companionship of two family dogs, Riley, a Blue Weimaraner, and Clarissa, a German Shorthaired Pointer. During his downtime, Jimmy can be found on the sidelines with his wife enjoying their children’s athletics or trying to squeeze in a run himself. Keith has been a member of Local 669 for 23 years and has worked directly for the Local in one capacity or another for 18 of them. for the Chicago Fire SC for 12 years and enjoys traveling around the country to their away matches. Mike has been a member of Local 669 for 21 years. He has over 17 years of field experience installing fire protection piping and over eight years’ experience teaching as a 669 instructor. For the past four years Mike has been the Business Agent for District 12, which is the entire state of Kentucky. When Mike is not working, he loves to spend time with his wife and son. During the summer months he makes every effort to go on a few family trips fishing, hiking, or kayaking. Sean has been a 669 member for the past 25 years. Sean is currently the Business Agent for District 14, covering Northern Ohio. Sean takes a lot of pride in being a union member. When Sean is not working, you will find him out fishing or spending time with his two great kids, Connor and Mckinley. Dan has been a UA member since 1986, and started working for Local 669 as a Business Agent in 2002. If you participated in the Local 669 Tough Mudder in 2015, you would have learned that Dan has been involved in triathlons, running and bike races for most of his life. He stopped doing races for a time, but his children are now pushing him back into them. If you’re involved in a one, let him know and he might join you. As someone born and raised in Wisconsin his favorite sports team is The Green Bay Packers. Scott has been a member of 669 since 2000. While in the field he worked for 10 contractors. He served on the Finance Committee for 2 1/2 years prior to becoming Agent on July 1, 2017. Scott is married to his wife Dana and they have two children. They enjoy going to see the Lehigh Valley Phantoms play hockey, boating on the Delaware River and summer vacations in Ocean City, New Jersey. In his spare time, he enjoys the outdoors. He fishes for shad in the spring, sits in a tree stand with a bow in the fall and a rifle in the winter. Keith Cunningham has been the Business Agent for District 18 since January 1, 2013. Keith has been a member of Local Union 669 since 1988, and his 30th anniversary will be this coming October (2018). His career began as an Apprentice with a small contractor that had 6 union members. From there, he was hired by a contractor with approximately 30 union members. There he completed his apprenticeship and became a Journeyman. A year later he was promoted to Foreman and ran projects with contract values ranging from $10K all the way up to $6 million dollars. As a Foreman for approximately 8 years, projects ranged from office building, airports, and airplane hangars special systems all the way to the Pentagon Renovation Project. In December of 2006, he was appointed to be General Superintendent for a company that at the time had grown to over 215 union members. As General Superintendent, he managed 38 million dollars’ worth of work. These projects included local district work, overseas contracts in multiple countries at the same time, and TS projects. After being a General Superintendent for close to 7 years Keith applied for the Business Agent position for his district. Ken has been a Local Union 669 Member since 1997. He was elected in 2008 for the position of Finance Committee, representing the Eastern region. Ken served two terms until 2014, when he became Business Agent of District 19 Eastern New York. Ken is a huge New York Yankees fan. He enjoys hunting, fishing, playing softball as well as many other sports. Ken loves to spend his time with his beautiful wife and two wonderful children whenever he gets the chance. Greg has worked for the Local as Business Agent for District 21 since July of 2017. When he is not working, he likes to hang out at the lakes and rivers of the Pacific Northwest. Greg enjoys fishing during the summer and elk hunting and hitting the ski resorts during the winter. He has also been known to dabble in the Spartan Races. During the sports seasons, Greg will be routing on the teams from the Northwest, including the Seattle Seahawks, Mariners. the new NHL franchise when it gets to Seattle in 2020 and the Washington State Cougars. Dale worked as a sprinkler fitter for 23 years and has worked for Local 669 for 16 years as District 22 Business Agent. Traveling is part of the job and he looks forward to revisiting places most people never really get to see once retired. Dale enjoys time with his wife, 4 kids, 4 grand kids, and his dogs Thor and Roxy. Dale’s hobbies include fishing, golfing, camping and woodworking. Paul has been a Sprinkler Fitter for 30 years. He spent 20 years in the field and 10 years as the Business Agent for District 23. Paul was the Tutor Proctor for Nebraska for 2 years. Over the years Paul’s hobbies have been flying small planes, skydiving, bungee jumping and scuba diving. Now that he is in his late fifties he has slowed down a bit he enjoys time with his family and hanging out with friends. His wife of 26 years Mary and Paul travel when they can. Lee has worked for Local 669 as the Business Agent for District #24 since 2005. Before that, he served two years on the Negotiating Committee for the Southern Region. Lee has been a member of the Local since XXXX. When Lee isn’t working, he enjoys tinkering with anything that has a motor, but most importantly he spends the lion’s share of any free time he gets with his family. Ron has been a Union Member for the last 26 years. He has traveled from Nebraska to Colorado to California to Nevada, which is where he has resided for the past 30 years. Ron spent six months in Macau, China, where he supervised the upgrade of the Wynn’s fire pump system to provide adequate protection. While working on this project, Ron had the opportunity to explore Hong Kong, Bangkok, and Vietnam. He would like to travel more in the future throughout the United States as well as to other countries so he is able to one day say that he has been almost everywhere! Ron has five adult children and ten grandchildren. He loves spending time watching the grandchildren participate in sports, including three different age brackets in football, basketball, soccer and wrestling. With six grandchildren that reside out if Nevada, he wishes he could visit them more often. Ron is currently married to his best friend whom is retired from the fire industry (Fire Inspector) and now volunteers at a local hospital to keep busy. They are empty nesters with the exception of their 100-pound Rottweiler who is convinced that he is a lap dog! Kevin has been a member of Local 669 since 1982, and has served as Business Agent for the members of District 27 since July 1, 2008. Kevin enjoys spending time with his family and friends, his dog, Jack, and especially enjoys spending time with his first grandchild. Will he be a future sprinkler fitter? We hope so! Kevin is an avid fan of the Los Angeles Dodgers and Oakland Raiders (soon to be the Las Vegas Raiders). When time permits he enjoys attending sporting events, playing golf, relaxing at home poolside and on the Hawaiian Islands with his wife. Gene has been a union Sprinkler Fitter for 29 years. He started as Business Agent in July of 2017. 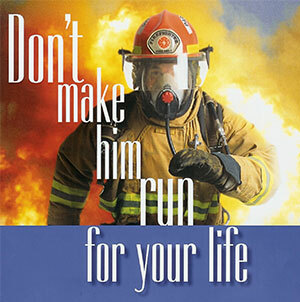 When he isn’t working he can be found volunteering at his local Fire Dept. as the Fire Chief. He enjoys spending time outside hunting, golfing and camping and traveling with family and friends. Matt has been in the trade for 32+ years. He first started his apprenticeship in 1980 with Shambaugh & Son. He left briefly then returned to the trade in April 1986 where he worked for Shambaugh & Son, VFP Fire Systems, Ryan FP, Comunale FP, Current FP, and Millennium Piping until 2011, when he became the District 29 Business Agent. Matt was also a County Police Reserve Officer for 19 years. Matt has been married for 37 years to his beautiful wife, Vickie. They have three children, Katie, Jeremy, Angie. Matt’s son Jeremy is also a sprinkler fitter. Matt also has two granddaughters, Avery and Addison. Matt is very proud of all his children for being the awesome adults that they are. Matt enjoys hunting, fishing, shooting sports, boating, and spending time with his family as much as possible. Matt hates the thought of retirement and wishes he could do it all over again, just better! Robert became a member of Local Union 669 in May of 1987 as an apprentice. He completed a five year apprenticeship and is a first generation member of the Local. Robert has held the positions of Organizer and Business Agent during his time with the Local. Robert has been married for 14 years to his beautiful wife, Diana, and does not have children. They traveling and spending time together whenever he gets the chance. They especially enjoy traveling around the US and visiting national parks throughout the different states. Robert is a NFL fan, especially when the New England Patriots lose. Scott has been a member of Local 669 for 30+ years and has worked for the Local since 2003. He worked as an Organizer for about 8 years and is now Business Agent/Organizer in District 32. Scott enjoys hunting and fishing in his spare time and is married with one son. He also has two dogs, several cats and a bunch of cows to keep his spare time interesting. Brian has been a member of Local 669 for 21 years. He worked for the same contractor until he became the Business Agent for District 33. He is proud to be one of many members of his family that are part of Local 669. Brian has been married to his beautiful wife, Shay, for 23 years and they have two teenage children, Madison and Zachary. Brian enjoys ridding his Harley, golfing, and spending time with family and friends. Mark started his career in 1986 when he became a member of Local 669. During the past 32 plus years he has worked in all aspects of the trade from contract foreman, to inspection testing and maintenance, and eventually became a branch manager. Mark started working for the Local as a Business Agent in District 34 on January 1st, 2013, to current date. He is very proud to represent the hard working men and women of District 34. When Mark is able to find the time, he enjoys the outdoors, spending time in the woods whitetail deer hunting and fishing. Gregg has been a member of Local 669 for 32 years. In his spare time, Gregg enjoys fishing the Chesapeake Bay and its tributaries. He also enjoys taking on home improvement projects and is a loyal follower of the Baltimore Orioles and Ravens. Gary has been a member of Local 669 since 1988 and the Business Agent for District 36 since January of 2007. When possible, he enjoys surf fishing on the Outer Banks or completing projects around the house. In addition, he loves to spend time with his three grandchildren, Hunter, Jesse and Ariya. He and his wife, Nancy, were married in 1978 and will celebrate their 40th wedding anniversary in September 2018. Also part of the family are their three mutts, Hemi, Maxine and Wally. Gary is a huge Steelers and Penguins fan. Chris is a 29-year-member who was initiated to Local 669 in 1989. After 16 years in the field, Chris became the District 37 Business Agent in 2005. He has been elected as delegate to the 2006, 2011, and 2016 United Association Convention. Chris earned his Associate Degree in Petroleum Technology from University of Alaska and has been an Alaskan resident for 36 years. He is a proud parent to his 27-year-old daughter and 24-year-old son. Chris is also a pilot who enjoys flying airplanes and drones, going snow machining, ice fishing, and traveling the world. Darrin has been a UA Local 669 member since 1999, and has been District 38 Business Agent since 2014. When he has free time, he spends it with his beautiful wife of 29 years. They enjoy the outdoors with their first grandson and 3 dogs. Darrin and his wife are avid motorcyclists and enjoy side-by-side riding through their woods. Darrin’s stress reliever is hanging out around the fire with family and friends and a cold drink. Darrin is an active Master Mason and an Ainad Shriner. He enjoys helping out the community in any way he can. Darrin feels it is greatly gratifying to help people and that is definitely the reason why he loves his position! Russell is in his eighth year working for the local and even though some days are better than others, he really enjoys working for our Members. In addition to being the District 39 Business Agent, Russell sits on the NFPA Committee and has been a Principle member of NFPA 15. He was also recently voted in as the President of the Kansas State Building and Trades. Russell met his beautiful wife in high school and they have been together ever since. She works for BNSF Railroad and enjoys crafting in her spare time. In Russell’s spare time, he enjoys golfing, working around the house and having Sunday dinners with his family. Together, they are involved with the Shrine, which raises money to support Shrine hospitals. Shrine hospitals take care of kids with birth defects and burns at no cost to the families. Russell has two kids, Skylar (27) and Bailey (21). Their son Skylar and his wife are having a son in May and Russell cannot wait to be a grandfather! Bailey is still in college and will graduate in 2019. He also enjoys watching movies and eating popcorn his three dogs, Matilda the Bulldog and two Chihuahua mixes we adopted when his mother passed, Penny and Jimmy. Kristopher has worked for Local 669 since 2014 as District 40’s Business Agent. He got into the trade in Salt Lake City in 1999, and was initiated into Local 669 in 2000. He has worked in many states installing fire protection. Kristopher has a passion for the sprinkler industry, and for Local 669. Kristopher loves to spend time with his beautiful wife and daughter. He enjoys boating, camping, and fishing when he is not working.